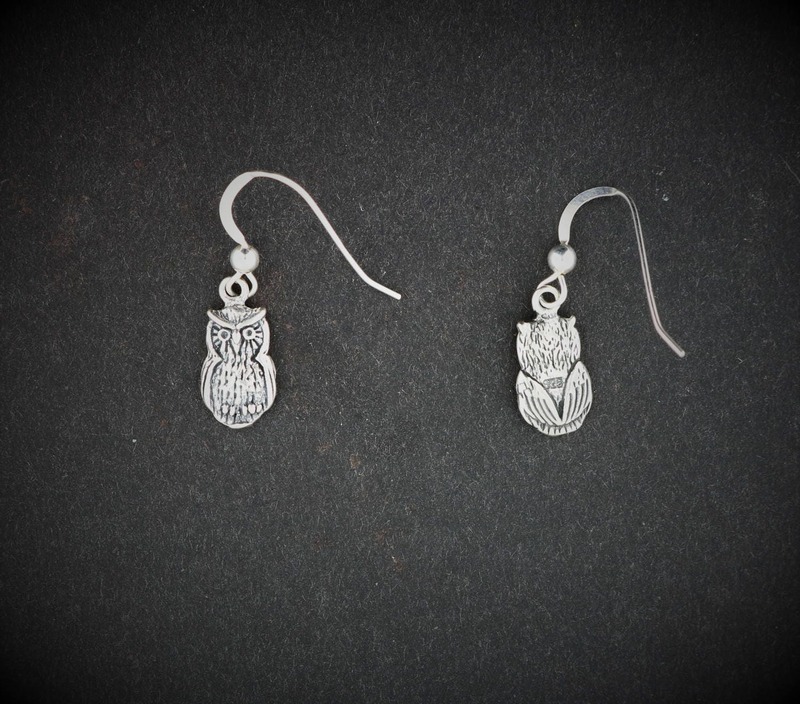 These are a pair of handmade sterling silver owl earrings made with small owl charms. 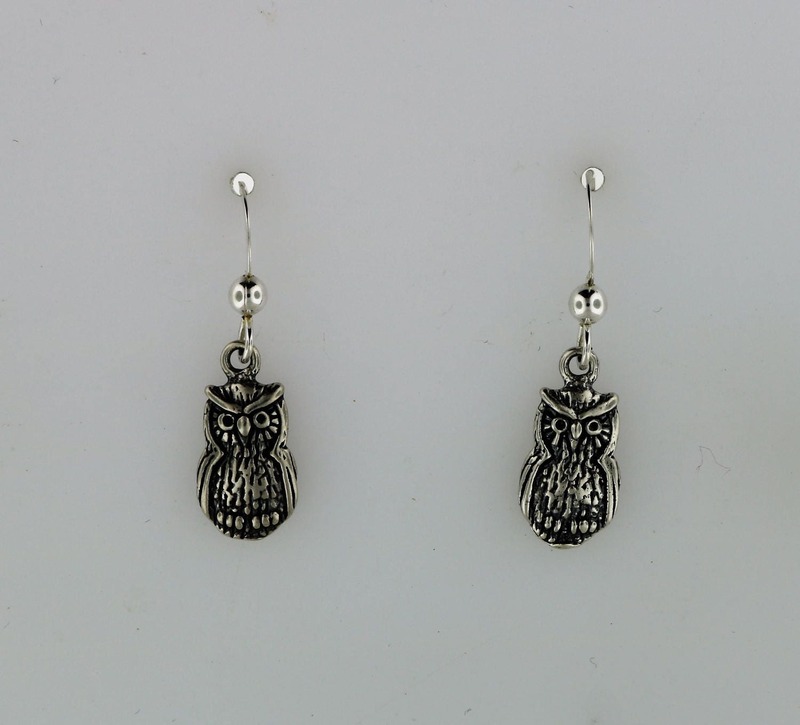 The owl charms are 1.5cm long and 0.7cm wide. The ear wire is also made in sterling silver. The charms are double sided. I can also make these in gold, so contact me for an estimate for the costs.